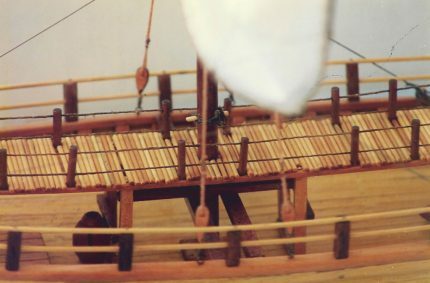 Carrying two masts according to the sacoleva-type and a latini at the front of the ship for greater sail surface without an equivalent size increase of the vessel itself. 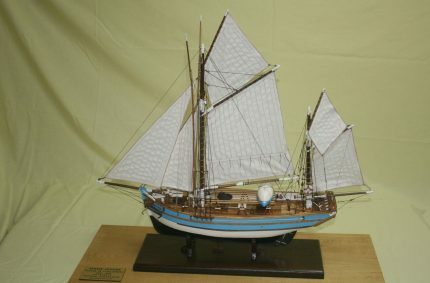 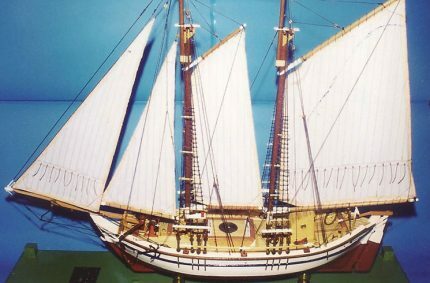 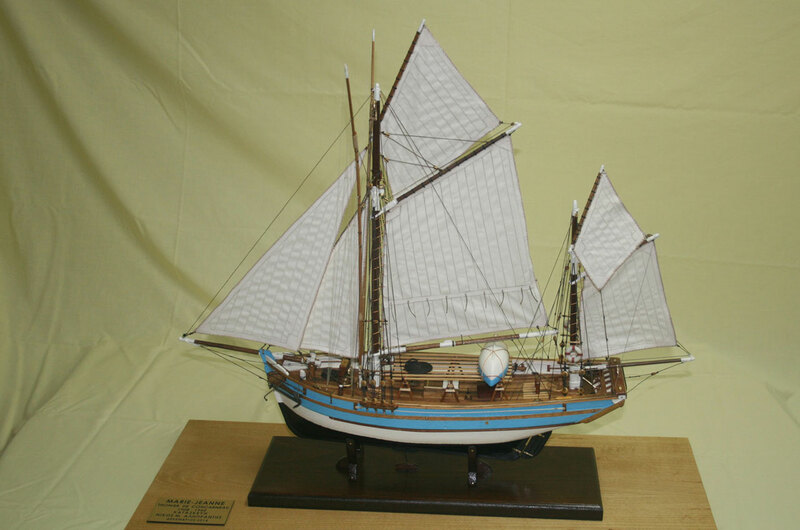 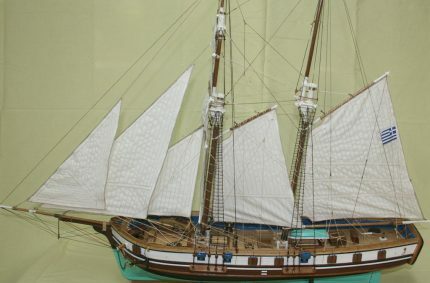 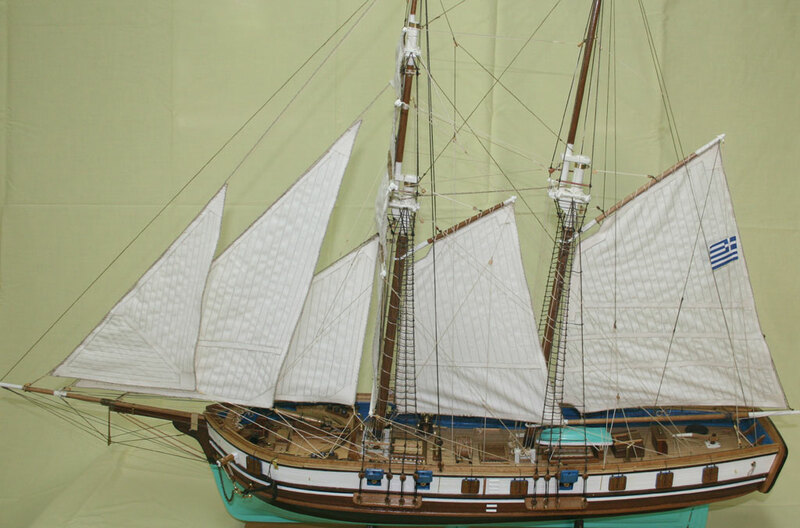 It is one of the best-known and beautiful tone fishing ships in the Mediterranean and in the Atlantic, which was ported in Concarneu of Northern France. Copy of vessel of the period 1600- 1400 BC. 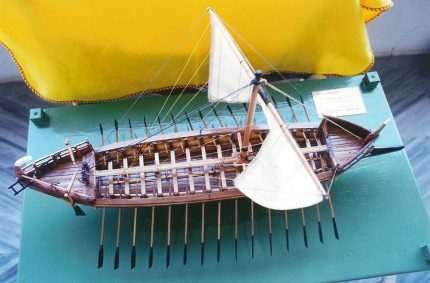 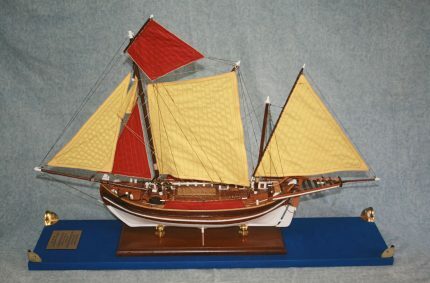 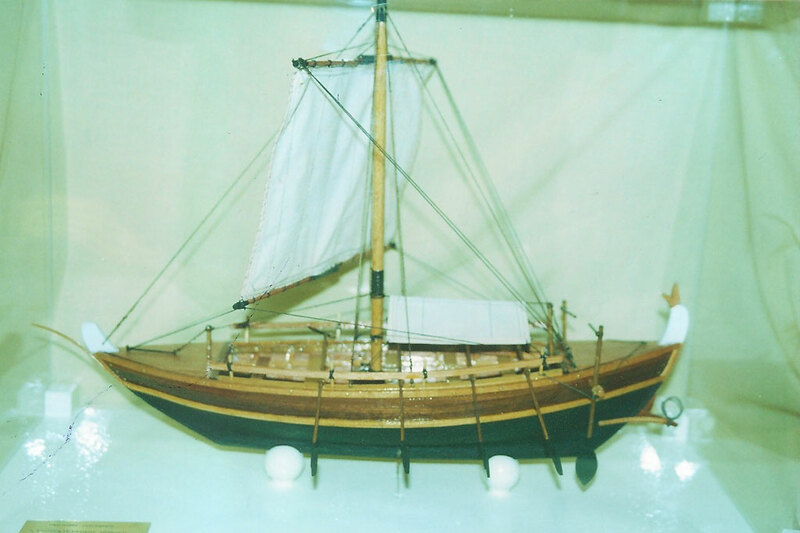 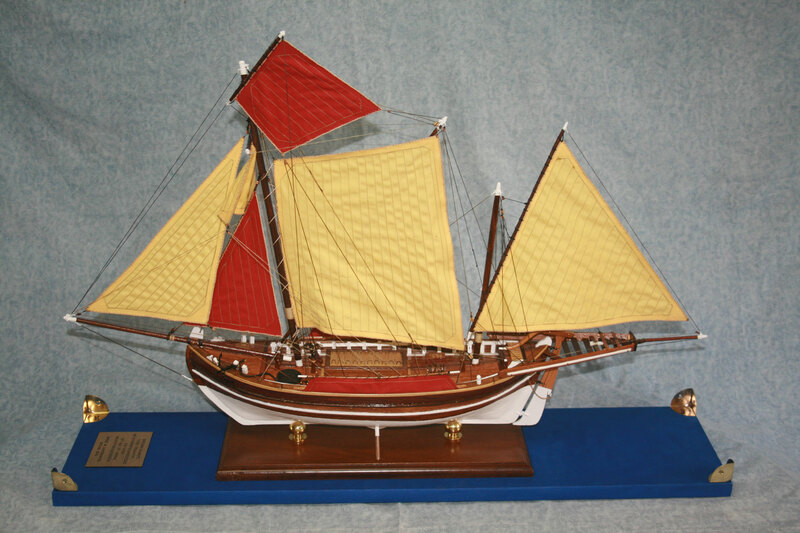 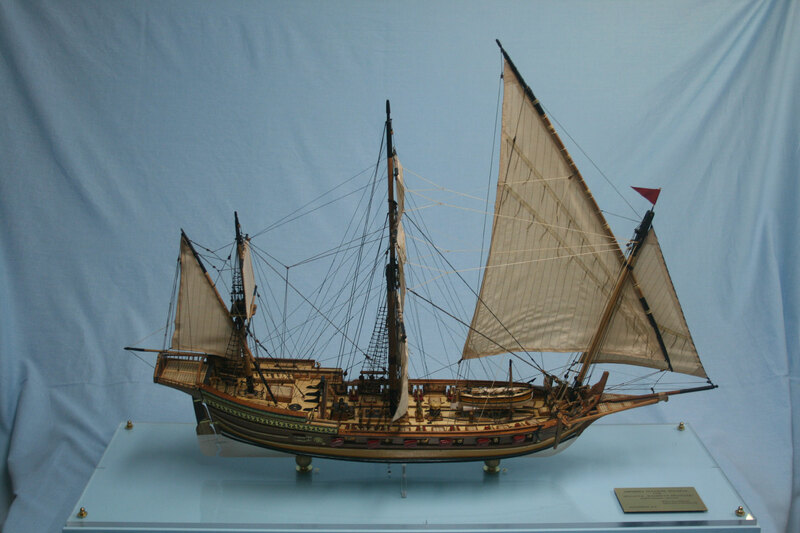 Ancient trade ship of the age before and during the Hellenistic times.